The government is proposing to make a small but significant change to the planning system. 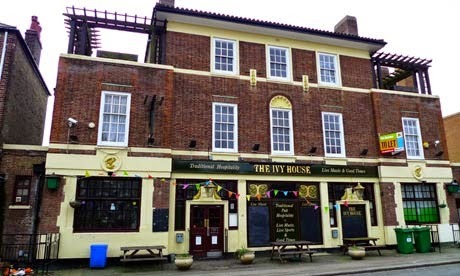 Community valued pubs that are registered as assets of community value will be stripped of their permitted development rights, meaning that a planning application will be required to convert them to other uses, or demolish them, without sale. This is an extension of community listing in order to secure a right to bid on sale, into development control. It is entirely possible that other types of use class could gain additional planning protections in future. My advice to communities who are unsure about listing, is to list those assets! It isn't supposed to be a reactive right. If a building is already under threat, it might be too late. This does ignore the way most communities respond to threats, but that is a weakness of the legislation. Intriguingly, pubs are the most popular category of development to be listed so far. The Communities and Local Government committee have a report due in February into community rights. There is also a plan to look at how the right to bid and nomination process has been implemented. Currently there is no standard form and it can be unclear what information is required or where to send it.